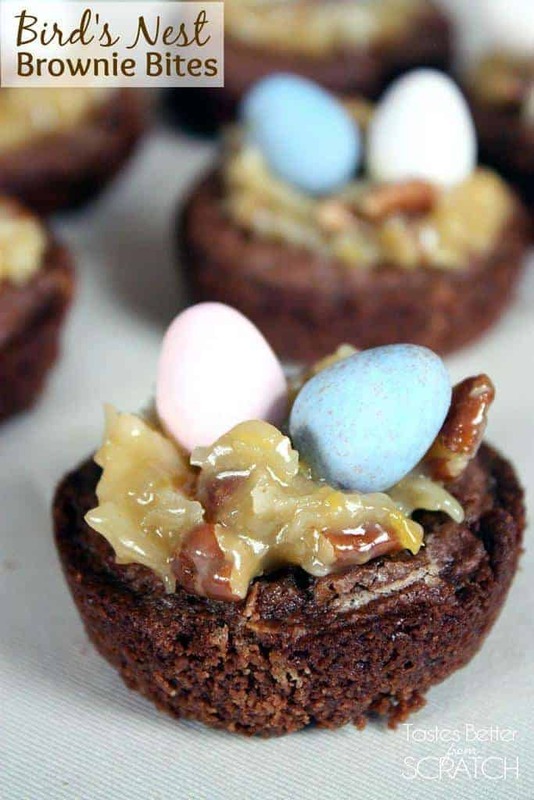 I’ve always thought little edible easter nests were really cute–but have you seen the ones made with those crunchy chow mein noodles? GROSS! 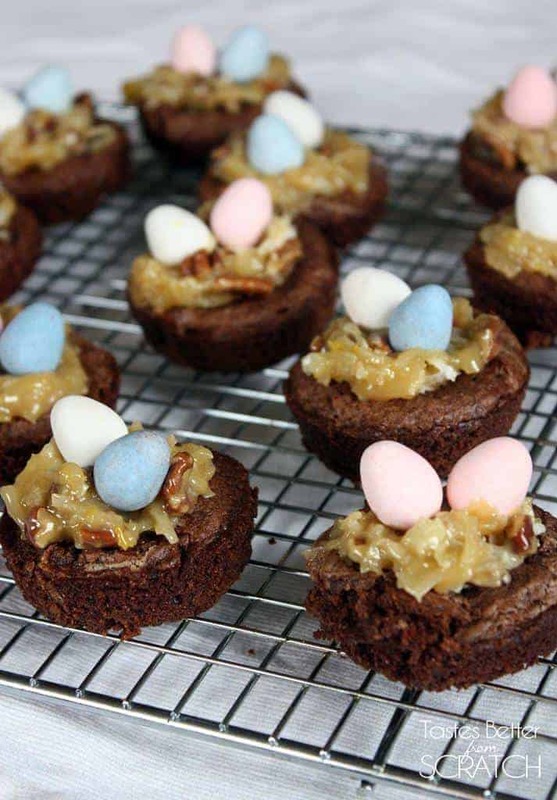 These little brownie bites, on the other hand, are super cute and festive but they taste delicious too! The coconut frosting is the same I use on my favorite German Chocolate Cake. And let’s be honest, I take advantage of any excuse to by mini cadbury eggs. 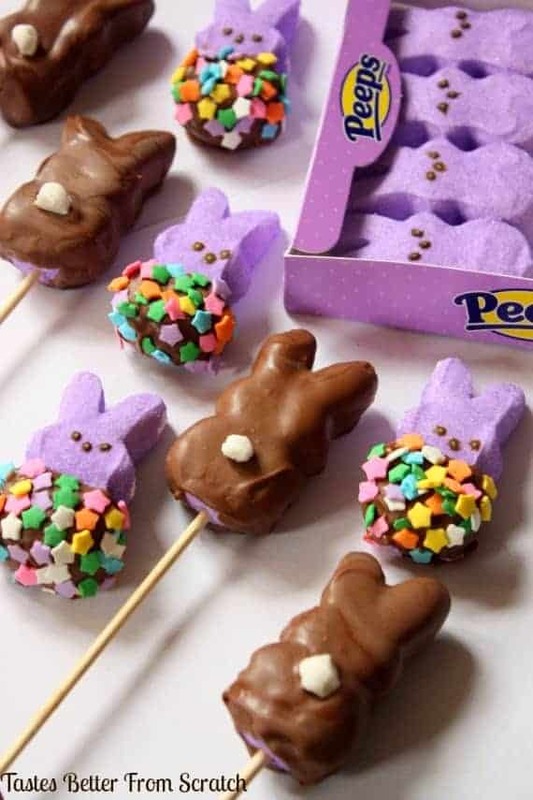 Best Easter candy ever. Preheat oven to 350 degrees F. Spray muffin tins generously with non-stick cooking spray. In a mixing bowl add oil, sugar, and vanilla; mix well with electric beaters. Add eggs and mix again. 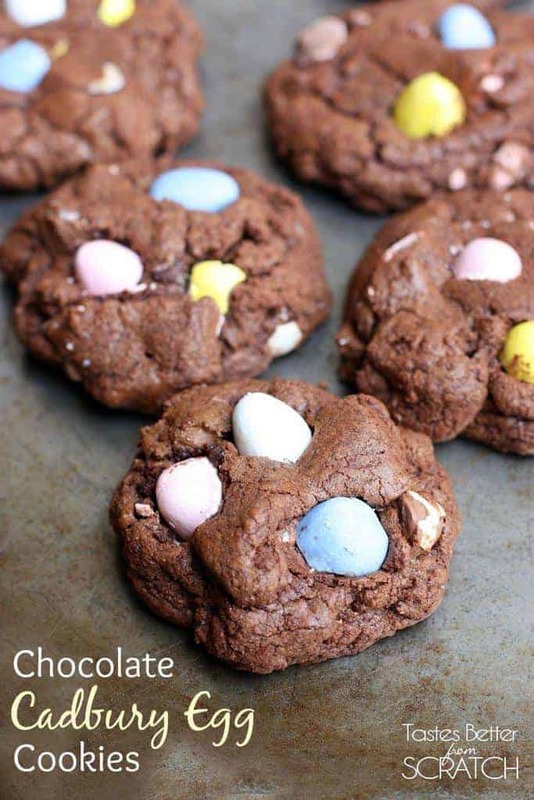 Add flour, cocoa, baking powder, and salt to wet ingredients and mix until combined. Pour batter into muffin tins, filling each only about 1/3 full. ( If you're using a mini muffin tin, you can fill each about 2/3 full). Bake for about 10-12 minutes, or until just set, taking care not to over bake them. Once cooled use a small knife to trace around each brownie bite to loosen it from the pan. Prepare coconut frosting. In a medium saucepan, mix the first five ingredients together. Stir constantly over medium heat until it comes to a slow boil. Cook, stirring constantly until it thickens - this will take about 10 minutes. Remove saucepan from heat and stir in coconut and pecans. Allow frosting to cool. Place a spoonful of cooled coconut frosting on each brownie bite. 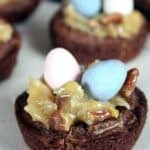 Add 2 cadbury mini eggs to each brownie bite nest. Enjoy!